Jimmy Luv's | Shake The Bottle, Wake The Luv! Our Customers Feel The Luv! “Above and beyond. Thank you Jimmy Luv’s." “OH MY GOOD GOD JESUS CHRIST!! After being bombarded with radio ads for Jimmy Luvs new bloody concoction, and being a 25 year bloody drinker, I thought "what the heck, let's see what they got." As soon as that masterful elixir hit my tonge, I was immediately transported to South Carolina, where 5 years ago I had the best bloody I ever had in a small crab shack dive joint......AND IT WAS EVEN BETTER!! I don't buy bloody mary mixes more than once, I have tried everyone that comes down the pike and have never bought more than one bottle ( I always knew I could make a better one myself) but I will now be a loyal customer of Jimmy Luvs....it's easier than making them myself...and gosh darnit, they're even better than mine!!! (Dammit!! I hate when that happens!!) BRAVO!!!" “Just wanted to tell you all. I made a pot of chilli with your mix and that was the Best chilli I have ever tasted"
“If you haven’t tried “Jimmy’s Bloody Mary Mix” you do not know what you are missing.. It is the BOMB!!!" “This bloody mary mix rocks! Got it at Pick ‘N Save Marketplace on Lyon (my friends tell me they haven’t seen it and asked where I got it). New fav!" "The regular, spicy, and Caesar are all fantastic. I never liked bloody Mary's until now. Yum!!!!" Jimmy Luv is first and foremost, a Bloody Mary lover. As he experimented with his recipe Jimmy’s passion was to develop the best Bloody Mary possible. Once he created the exact mix of ingredients to satisfy his own high taste standards, Jimmy wanted to share his refined blend with anyone that sought a fantastic Bloody Mary. 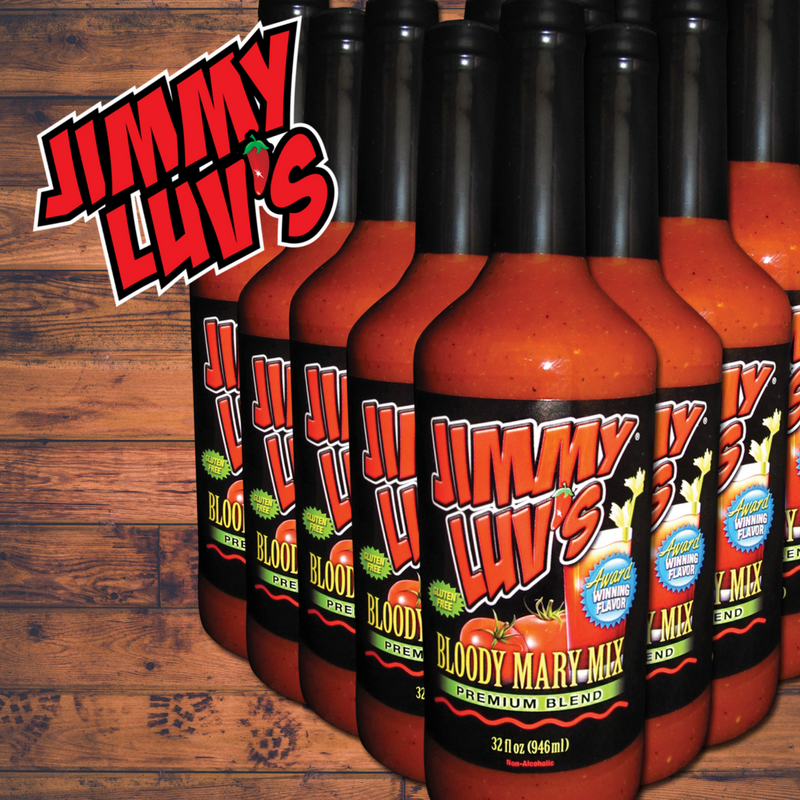 With Jimmy Luv’s Bloody Mary Mix in hand, all you have to do is… Shake the Bottle, Wake the Luv! Enjoy with friends. It’s like a Bloody Mary with beer chaser… but the beer is mixed in! Pair Jimmy Luv’s® Bloody Mary Mix with Gin to make a delicious Red Snapper. Can’t decide between a Bloody Mary and a Martini? Now you don’t have to choose. An interesting twist on a classic Bloody Mary from our friends to the north. A tasty south-of-the-border twist on a classic Bloody Mary. 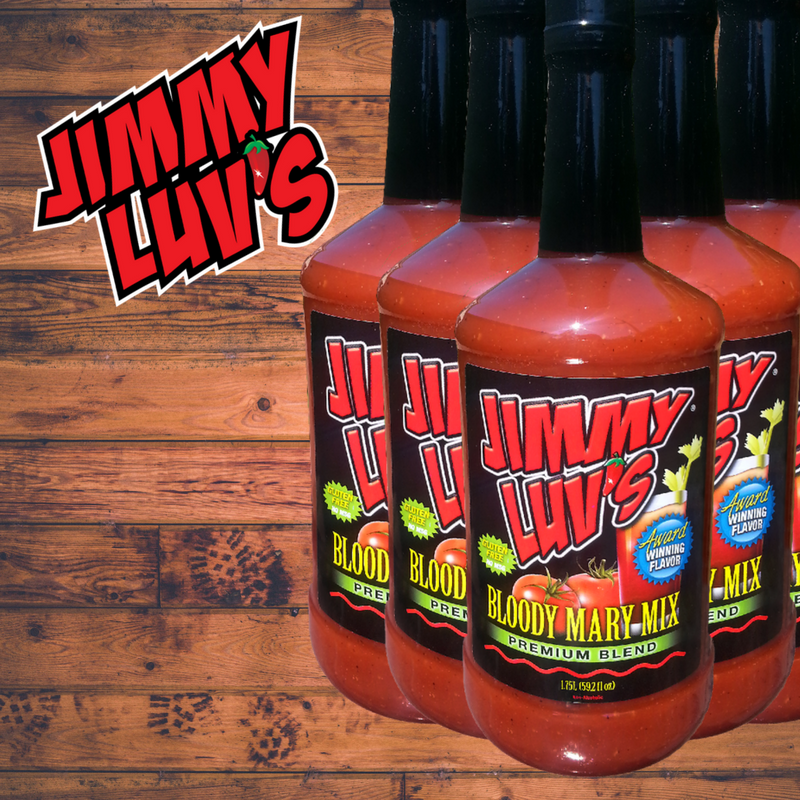 The Bloody Mary is a classic cocktail, but if you’ve never had one made with Jimmy Luv’s, you are in for a treat. Put a little twist on your loaf and try adding a little Luv for that extra kick. Try Robin’s Luv Loaf for a simple and easy dinner idea. Chicken Tortilla Soup…made with a little kick! Stuffed with all the goodies! Secret ingredient…Jimmy Luv’s! Momma knows best! Throw it all in there and let it cook itself. Spread on the Luv and spice up any dinner. Spice up your shredded chicken with a little Luv! This sandwich might be a little messy, but it’s made with Luv! The perfect appetizer made with a little Luv! Spice up you’re Chicken Wings with a little Jimmy Luv’s! Jimmy Luv’s In The Wild! Follow Us on Instagram and post your favorite #jimmyluvs moments!